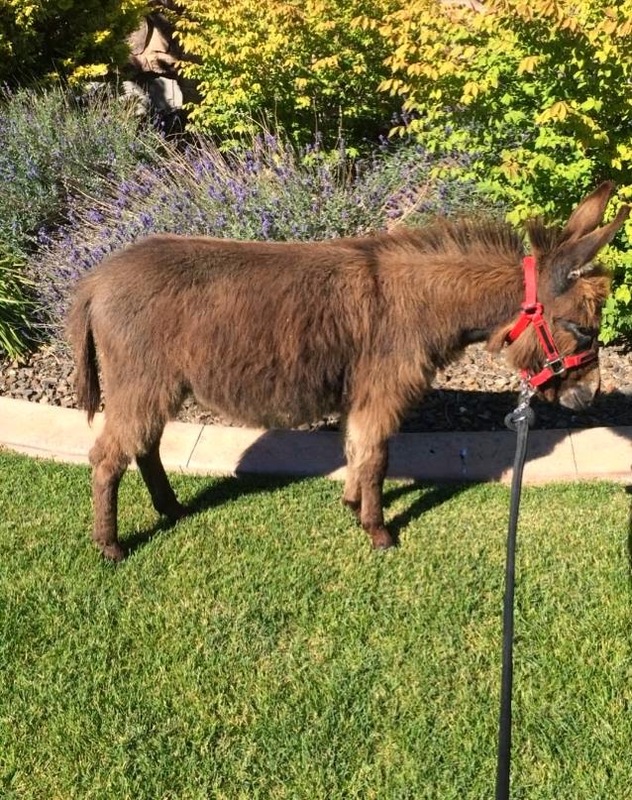 I got a new donkey! Surprise! This handsome fellow is exactly like the little man Jethro — super sweet, tolerant, and eager to learn. Actually he IS Jethro believe it or not. Yup, I body clipped Jethro. 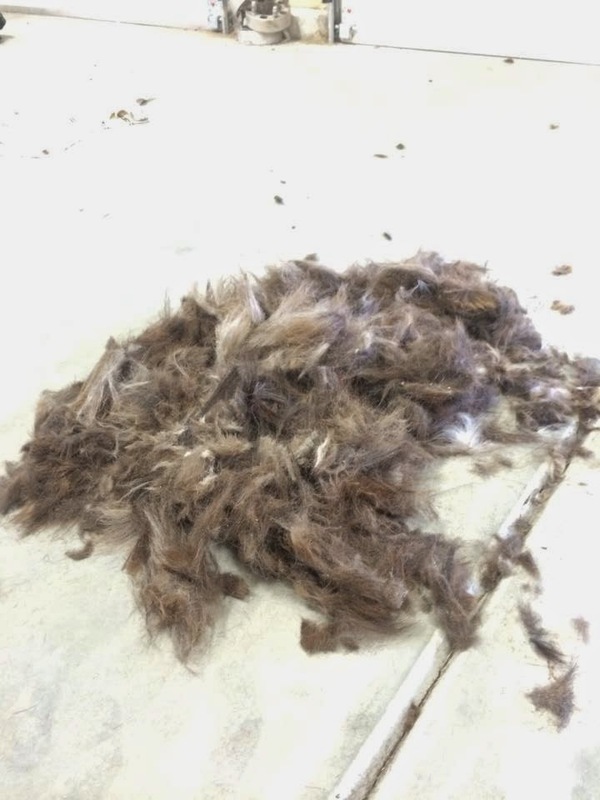 It is 110* out and that shaggy coat was just too hot for the poor fellow. 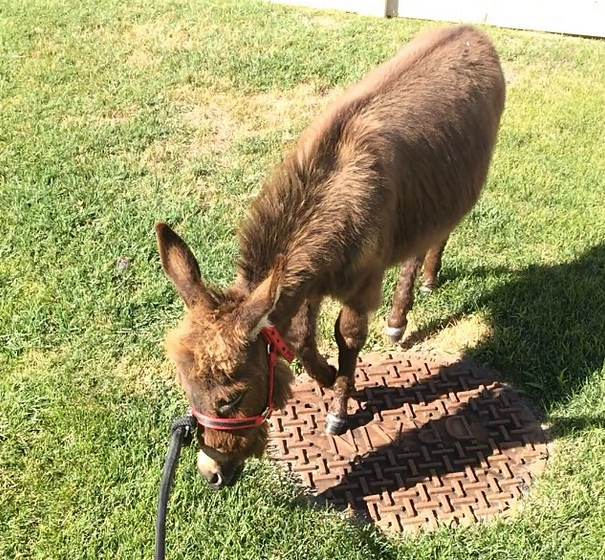 I purchased some Andis clippers (which arrived today), gave him a bath, walked him in the sun for an hour, and set to work. Technically my mom actually did the clipping, and since it was her first time attempting I think she did well... way better than I would have done. Fair is in three weeks, so I think the clip lines will be faded out by then. The body clipping didn't phase him one bit. He stood there calmly like a pro the whole time. I love the clipped face/head! Yesterday I stepped out of my comfort zone big time. I decided to go to my first 4-H riding meet since last summer. She loaded within 5 minutes, and we were off! Upon arrival she lunged just fine until the other members and their horses showed up. She was whinnying and bucking (while on the lunge) around. After she somewhat got a hold of herself, we went with the group to practice showmanship patterns. A year ago during showmanship she would have been prancing around uncontrollably. Yesterday, however, was a new chapter! I would say she did pretty well, although we did have to redo the pattern since the first time was a complete fail. The second went a lot better — she listened and obeyed rather well, and I was really happy with her performance! Next we tacked up, and I was a nervous wreck. In the words of my mom, "You look like you are going to puke." I reluctantly mounted up and gave Ypke a task to do. I made her do small circles, figure eights, and direction changes at the walk. She was actually doing great! Next we went to the rail for walk/jog. There were 7 or 8 other horses besides us, and they were all super calm. Ypke was really feeding off of this and seemed to be relaxed. She was acting similar to how she behaves at home. Ypke was going at the pace I asked, passing, and changing directions at both the walk and jog. After awhile we moved onto patterns. This involved waiting in the lineup which she HATED. She was really fidgety and kept on wanting to back up and bump into other horses. I did manage to get her more or less under control. Once it was our turn for the pattern, she seemed happy that she was finally going to do something. That pattern was trot to the center, do a figure eight at the trot, trot to the end cone, halt, and do a 90* haunch turn. Our circles weren't round, but at least she was listening. Once back in line she was getting increasingly impatient. Even though I was just sitting there with loose reins she would throw her head around and back up. I pretty much just let her throw her hissy fit, but whenever she would back I would make her go forward. We got a second try at the pattern. Yay redemption! All of a sudden we both heard LOUD thundering hooves. Off to the right someone was galloping their horse on a mini dirt track next to the arena. I heard her start to do her signature squeal and could tell she was thinking about surging away. I decided to be somewhat proactive and pull her head around while yelling my signature, "OH GEEEEZ! HOLY COW!" I'm not sure if it spooked me and then spooked her, vice versa, or if we both got scared at the same time. What's even more surprising is that directly after that I trotted her on and finished the pattern. My typical reaction would have been to freeze and sit there like a sack of potatoes. The meet was done, and the trailer loading saga began. 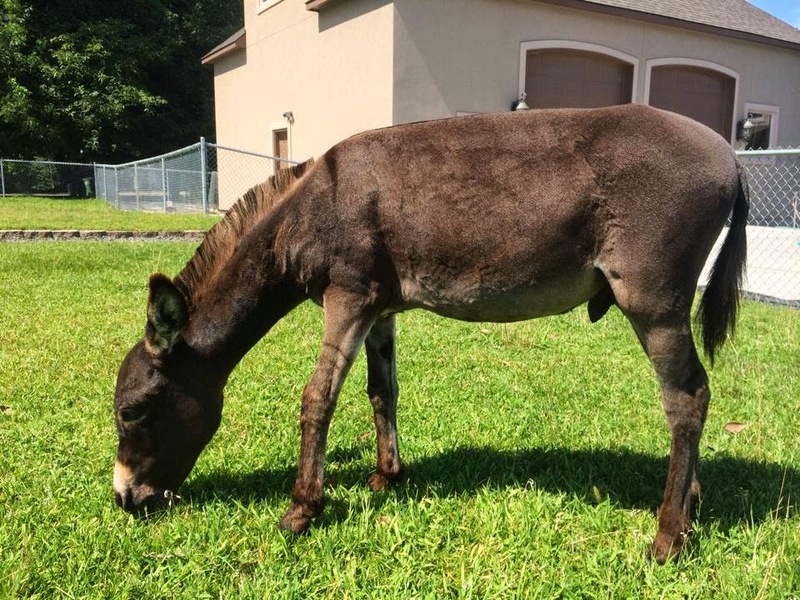 I’m not actually sure if I have mentioned it on the blog yet, but there are several reasons why I wanted to get a miniature donkey: a loving pet, 4-H project, and therapy. 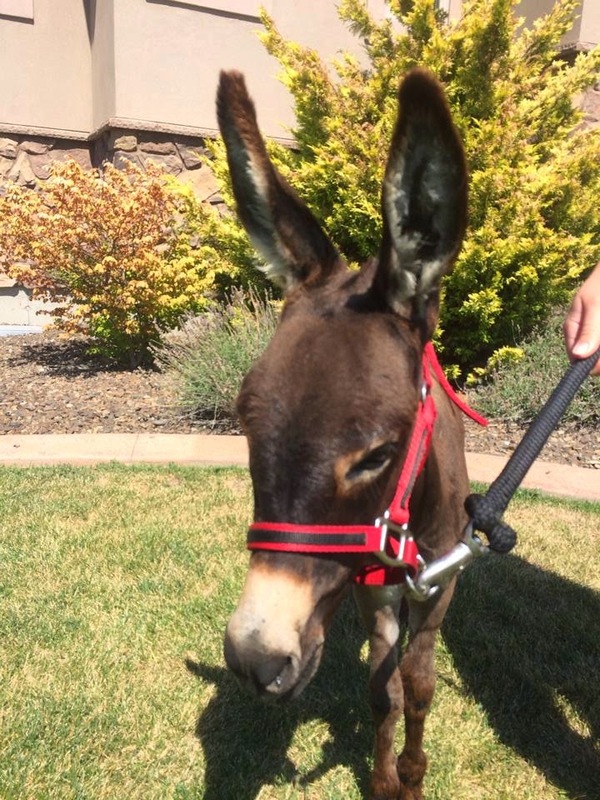 What many people do not know is that miniature donkeys can be registered therapeutic animals. Like dogs, they can visit nursing homes, hospitals, libraries, etc. upon being certified. I’m planning on getting him certified through the Pet Partners program, and they have to be at least one year old in order to get the certification, so he still has another 7 months. Right now I am just working on getting him exposed to everything: people petting him all over, people doing unusual things (ie: shrieking, waving arms around wildly, falling down) around him, strange noises, tarps, manhole covers, bridges, water, crutches, bicycles, dogs, people crowding him, etc. I’m really glad I got him when he was a weanling… he thinks all of this is normal stuff now and doesn’t give it a second thought. I think he has the perfect temperament to be in a therapeutic program. He loves people, has a carefree mindset, and is always eager to please.